For the past two months, I have refrained from writing an article, like the one you are reading right now, about Chelsea. I did not want to make any broad claims about where I feel the Blues will end up at the end of the Premier League season. I was not sure how I felt about Antonio Conte and his decision-making ability as a manager. However, as I woke up Sunday morning and poured myself a cup of coffee, no milk, no sugar, I kept asking myself why I was still so unsure about Chelsea. This is not to say that I thought Chelsea would be equal or worse to last year’s campaign. I honestly think that I just did not know that much about Conte and his style of play. I did not agree with some of the transfers he made, signing Marcos Alonso, loaning Juan Cuadrado, paying 30 million Euros for David Luiz, and moving Cesc Fabregas to the bench. 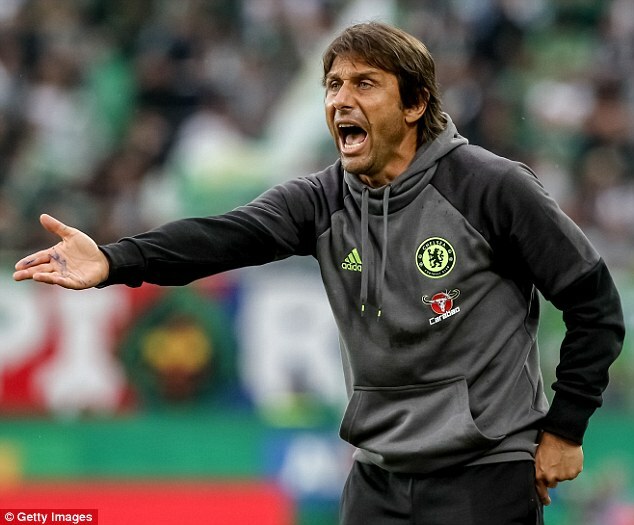 The Italian manager, who coached Juventus to their fifth straight Serie A title last year, to me, did not seem to fit in with how I imagine Chelsea plays. Conte is famous for playing with three defenders in the back, something that is very risky to do in the Premier League. I just did not know whether Conte would be able to adapt to the more physical style of play in the Premier League. Now as I sit at my desk, looking up at the poster from Chelsea’s title-winning 2014-2015 season, I feel dumb. I feel foolish. How dare I doubt Conte’s credentials and his ability to coach a team to victory. With their 4-0 victory over Manchester United, Chelsea sits comfortably at fourth place in the league. While fourth may not sound that exceptional, only one point separates the top five clubs in the Premier League, with Manchester City atop the table on 20 points. In this article I will try to focus not only on the exciting win yesterday, but also talk about why my doubts about Chelsea are incorrect. So let me start off with the game. A 4-0 victory against Jose Mourinho’s Manchester United side is no easy task. If there is one thing that the former Chelsea manager knows, it is how to defend. On Sunday, Mourinho was forced to change his lineup due to a Wayne Rooney thigh injury. However, even with the English striker out, Manchester United had a pretty threatening lineup. The pace of Jesse Lingard and Marcus Rashford as well as Antonio Valencia, paired with the physicality of Zlatan Ibrahimovic and Paul Pogba looked to attack Chelsea’s defense constantly throughout the match. However, Chelsea brought the thunder to Manchester United’s defense, scoring the first goal of the game after just 40 seconds. I really like how Conte’s 3-in-the-back system helped Chelsea today. Having an extra midfielder, allowed Chelsea to stop Manchester United from breaking and allowed the Blues to catch their opponents on the counter. While it can be argued that since Chelsea scored two very early goals, Manchester United were never going to comeback and just seemed a bit shaken up, it can also be argued that Chelsea were just a better team today. They pressed the ball and made it difficult for Manchester United to pass the ball out of the back. Numerous times, Pedro and Victor Moses were able to press Manchester’s defends and take the ball away. Gary Cahill’s goal was a powerful half volley off a Chelsea corner that Manchester United struggled to clear. Eden Hazard scored a peach of a goal after a beautiful series of passes between the Belgian, N’golo Kante and Nemanja Matic. And finally the former Leicester City center midfielder got his first goal of the Premier League season after a lovely bit of skill in the box. Now, let’s talk about why Chelsea have been able to play so well this season. With six wins, one tie and only two losses, Chelsea is looking like they might be able to challenge clubs like Manchester City, Arsenal and Liverpool for the title. The main reason why Chelsea has succeeded so well this season is because of the new manager Antonio Conte. The 47 year old Italian has made a name for himself after coaching Juventus for five seasons and coaching Italy during this past summer’s Euros. His new system of playing is somewhat similar to Jose Mourinho’s. He is a defend-first kind of coach. He always stresses having a solid defense before focusing on any other aspect of the game. I really like his choice of moving Branislav Ivanovic to the bench, moving Cesar Azpilicueta over to left center back and giving playing time to players like Marcos Alonso, Victor Moses, and Willian. While Azpilicueta is a natural right back, his has shown his versatility in playing right back for so many years under Mourinho and now controlling the defense as a center back. Another clear reason why Chelsea has been able to win so many games early on in the season is Diego Costa. The Spanish powerhouse has seven goals in just nine games and seems to be playing like he was in the 2014-15 season. Last year, Costa spent a little too much time fighting with the other defenders. This year he is running at defenders with speed and connecting with his teammates on the wings. Finally, Chelsea’s summer signings have made huge impacts on their season. Michy Batshuayi has proved to be an important substitute during games where the physical play of Diego Costa has failed. Marcos Alonso has shown Conte and fans that he deserves to be considered for the starting XI each week. N’Golo Kante is controlling the midfield and helping Chelsea dominate possession. Chelsea will look to continue their form as the Christmas break approaches. They are going to need to stay within a couple of points with the other teams in order to ensure a possible title race. Conte will be looking to ship some of the older players like Ivanovic, Cahill and Fabregas out doing the January transfer window. It will be up to Conte and the players to continue to win games and get the results they need. Posted in Barclays Premier League, Soccer and tagged Antonio Conte, Barclays Premier League, Branislav Ivanovic, Cesc Fabregas, Chelsea, Chelsea FC, David Luiz, Diego Costa, Eden Hazard, Gary Cahill, Jesse Lingard, Jose Mourinho, Juan Cuadrado, Manchester United, Marcos Alonso, Marcus Rashford, N'Golo Kanté, Nemanja Matic, Paul Pogba, Pedro, Premier League, Zlatan Ibrahimovic. ← Are The Browns Bound For A 0-16 Season?